The falketind warm1 stretch Sweater is a light weight fleece and the thinnest mid-layer in the falketind concept. 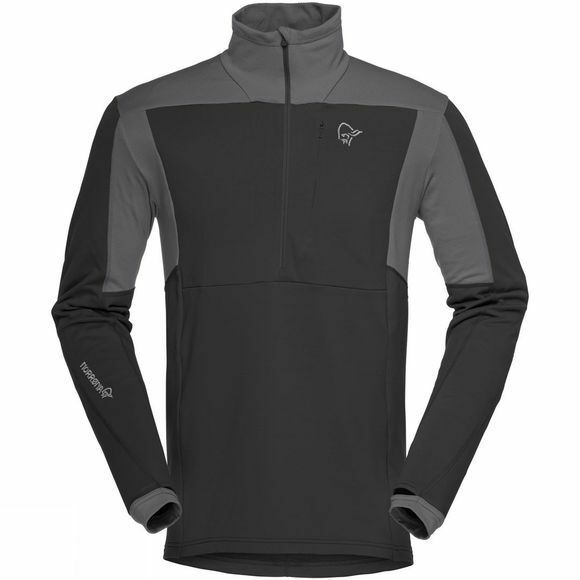 It has the exact same features as the Zip Hoodie but the new ½ Zip Sweater design makes it a great alternative for those who are looking for a thicker baselayer. The soft and pill resistant zip hood is made of durable recycled Polartec fabric and it has Polartec Power Stretch areas to ensure better comfort, tighter fit and great breathability. The zip neck provides good protection, while the kangaroo pockets and little chest pocket provide neat storing options.